Treemap: Presents hierarchical data using nested rectangles. 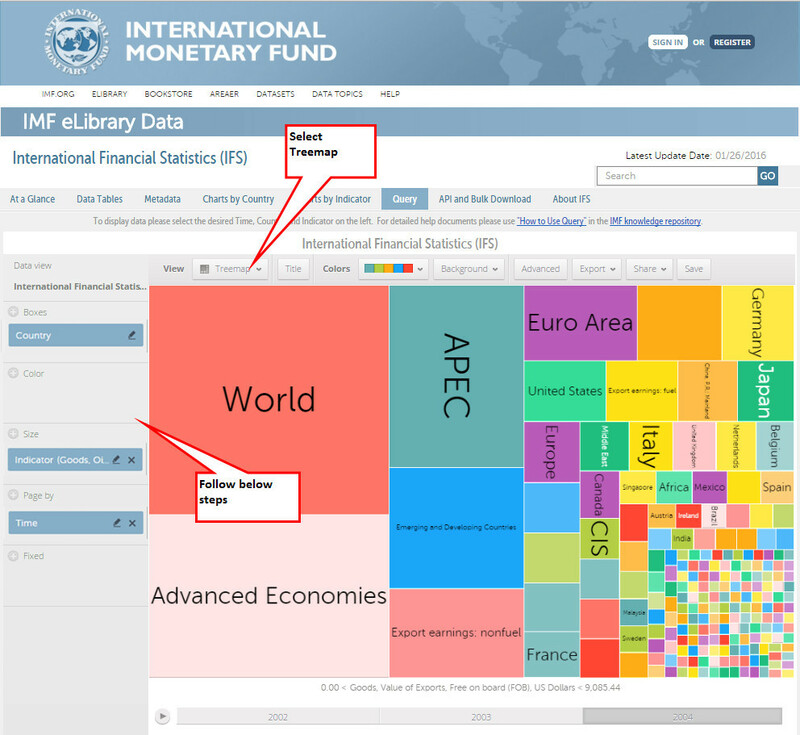 Treemap chart Instructions - The sample chart uses the International Financial Statistics dataset and presents countries' exports, f.o.b. data in 2002, 2003, and 2004. This treemap contains data on one level only. Click on the plus sign next to Boxes and select Country. From the pop up dialogue box select All Items on Screen. Click Apply and OK.
Click on the plus sign next to Size and select Indicator. In the pop up dialogue box search for Goods, Value of Exports, FOB, US Dollars; select and click GO. Click on the plus sign next to Page by and select Time. From the pop up dialogue select 2002, 2003, and 2004. Click Apply and OK.